MYAN’s Practice Hub aims to support those who work with young people to settle well in Australia. The hub focuses on the eight Good Practice Capabilities outlined in MYAN’s National Youth Settlement Framework. These capabilities are designed to be applied across all sectors, including the health, youth, education, employment and settlement sectors, in both government and non-government settings. They represent the key components of a targeted approach to supporting young people in the settlement context and also reflect the intersection between youth work and settlement service delivery. It is at this intersection that good practice with young people from refugee and migrant background lies. The good practice capabilities are listed below. Cultural competency recognises the importance of culture in the migration and settlement experience. It also recognises the fundamental role that culture and cultural identity play in a young person’s life, and the significance of negotiating cultural differences in the settlement process – both for young people and service providers. Cultural competency is not a point that is reached, but something that individual workers and organisations work towards, continually improving and refining skills and knowledge. It involves reflection, at a personal and organisational level, on the cultural assumptions that shape our world view and our work practices. It also involves developing and implementing policies at all levels of an organisation to support cultural diversity and inclusiveness. A youth-centred approach recognises the specific needs and circumstances of young people and the distinct ways in which young people experience the settlement process. Youth-centred service delivery involves identifying and responding to a young person’s particular needs, distinct from those of adults or children. A strengths-based approach recognises that young people from refugee and migrant backgrounds come to Australia with enormous strengths, resources and capabilities. A strengths-based approach in service delivery involves supporting young people to identify and utilise their strengths, resources and capabilities in navigating settlement and becoming active citizens in Australia. It also involves affirming young people’s strengths in all aspects of their lives, across each of the domains of active citizenship. A youth development approach recognises that young people require targeted support to acquire and develop the skills, knowledge, support and resources to meet their needs, and achieve their potential as active participants in their community. It is the process by which young people acquire and develop a sense of agency over their lives – the skills, knowledge, support and resources to meet their psychosocial needs and achieve their potential. Youth participation approaches recognise the right of young people to participate in decision-making that affects and shapes their lives, and that they are often best placed to identify their needs and should be supported to identify and advocate for solutions. It also recognises that the voices of young people from refugee and migrant backgrounds are often marginalised in policy, advocacy and service delivery. Meaningful youth participation is not just about opportunity; it is about seeing young people as partners and equipping them with the knowledge, skills, and resources to effectively participate and influence policy and service delivery models. The following resources have been developed to support youth development and participation. Youth participation is a process rather than a specific event or project. Shier’s Pathways to Participation model is useful in assessing organisational readiness and commitment to youth participation beyond individual projects. 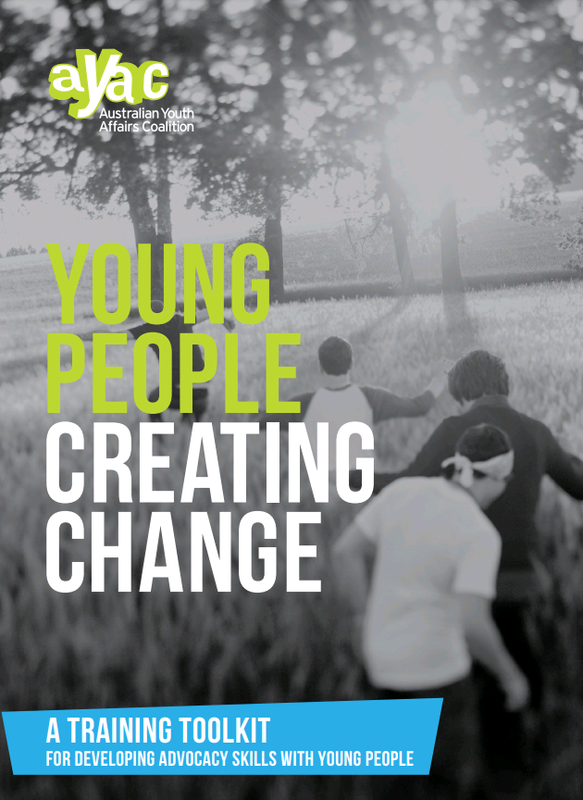 The model offers a set of questions to help organisations work out where they currently stand and identify the areas they need to improve, to develop more effective youth participation practice. Trauma-informed practice recognises the trauma of the refugee experience and the significant ways in which it can impact on settlement and adolescence. Trauma-informed practice recognises the importance of core recovery goals as fundamental to supporting young people to manage and recover from trauma. Family-aware practice recognises the critical role that family play in a young person’s life. Relationships with family and community provide young people with a sense of belonging, support in negotiating difficult challenges and transitions, connection to shared values, culture and history, and play a key role in decision-making regarding a young person’s choices. This is particularly important for young people from refugee and migrant backgrounds, given the impact of the migration experience and settlement on family relationships. Family-aware practice acknowledges that for refugee and migrant young people, the concept of family may be broader and more complex than the traditional Western view, and that family commitments, expectations and responsibilities are often key priorities in a young person’s life. Family-aware practice involves engaging with family wherever possible, as a key component of supporting a young person and facilitating positive connections with family (wherever they are located). 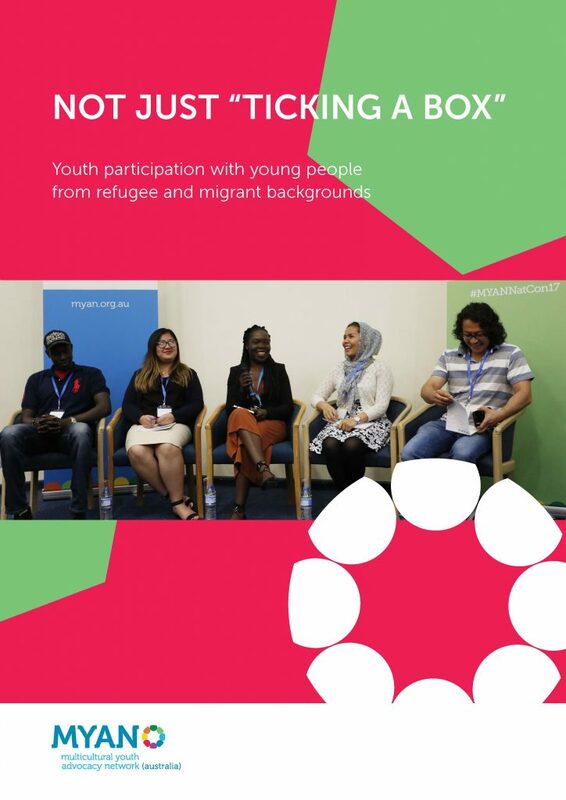 A flexible and responsive approach to practice recognises that that young people from refugee and migrant backgrounds have specific and often complex needs, but that this group of young people comprise numerous diverse sub-groups. It recognises that their circumstances and needs vary considerably, depending on their cultural and religious background, English language proficiency, level of acculturation to Australian society, level of family support, migration experience and socioeconomic and demographic factors, such as age and gender. Flexible and responsive service delivery involves being responsive to a young person’s needs and circumstances, rather than applying a ‘one size fits all’ approach. This includes taking into account factors that contribute to disadvantage, including those specific to young people form refugee and migrant backgrounds. Collaboration recognises the challenges that young people face in navigating a complex, unfamiliar and often disjointed service system. It recognises that these challenges can be addressed through coordination and collaboration between services. Settlement outcomes are affected by the type, nature, range and quality of services and programs available to young people, and the extent to which these services are coordinated or linked. A collaborative approach to service delivery involves workers, programs and organisations investing in working together – seeking opportunities and finding ways to work in partnership. Engaging in individual and systemic advocacy recognises and responds to the range of individual and structural barriers that young people from refugee and migrant backgrounds face in accessing the support they need to become active citizens. Advocacy involves actively promoting the needs, interests and rights of a young person – at both individual and systemic levels. This may be with service providers, the education system, family members or sometimes peers. It also involves supporting young people to develop their skills, confidence and networks to engage in their own advocacy. A Framework for Effective Storytelling is a resource included in Young People Creating Change: a toolkit for developing advocacy skills with young people which provides a framework for purposeful and impactful storytelling as a tool for advocacy. Adapted from “Tell Me a Story” by Eric Friedenwald-Fishman, 2012. The Advocacy Planning Process is a resource included in Young People Creating Change: a toolkit for developing advocacy skills with young people outlining a simple step-by-step planning process for successful advocacy campaigns. Basic Presentation Tips: Dos and Don’ts is a resource included in Young People Creating Change: a toolkit for developing advocacy skills with young people providing tips for public speaking and presentations for effectively engaging an audience and communicating your message. Handling Tricky Questions is a resource included in Young People Creating Change: a toolkit for developing advocacy skills with young people giving helpful suggestions for effective responses when handling tricky questioning of, or opposition to your cause.